DeLena Ciamacco: The Real Estate Expert: Did you know Josh Radnor was from Bexley? So...one of my assistants, being a huge fan of the show, brought this to my attention. I had no idea Josh Radnor is from Columbus! 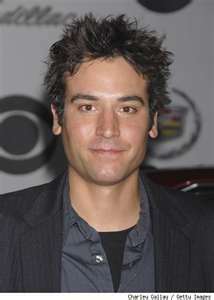 You may know him from the hit CBS show How I Met Your Mother as "Ted". He acts alongside a fabulous cast including Jason Segel, Alyson Hannigan, Neil Patrick Harris, and Cobie Smulders. But did you know that he was born in Columbus, Ohio and raised in the suburbs of Bexley? Who would've guessed Central Ohio could produce such outstanding people...Oh yeah we already knew that, right Ohio? !